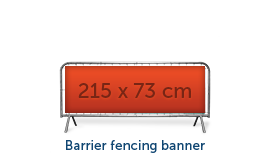 Turn your boring fences into attractive promotion material with fence banners from Helloprint. 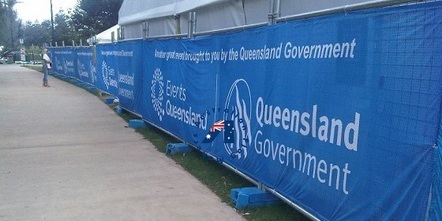 Our fence banners are made from fire retardant material and feature convenient rings for suspension. 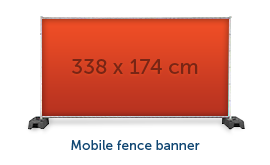 Order affordable banners and get free delivery too! At Helloprint, you can submit your files at any time. Complete your order today and we'll let you know how to submit your files. We even check them for you for free!! These banners are made from special PVC-material for banners. 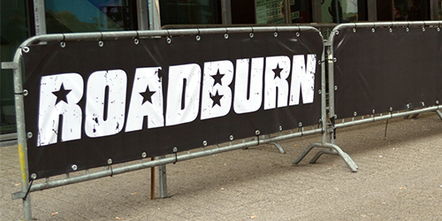 These banners are extremely sturdy and suitable for both indoor and outdoor usage. The matt coating keeps your design sharp & clear too. Are you planning to advertise your banner on a windy spot? Make sure you choose this wind proof material. Featuring many (small!) holes, your banner won't catch the wind. 1 2 3 4 Sale! 5 Discounted price! Order NOW & save up to 40%! 4 Do you want matching tiewraps?